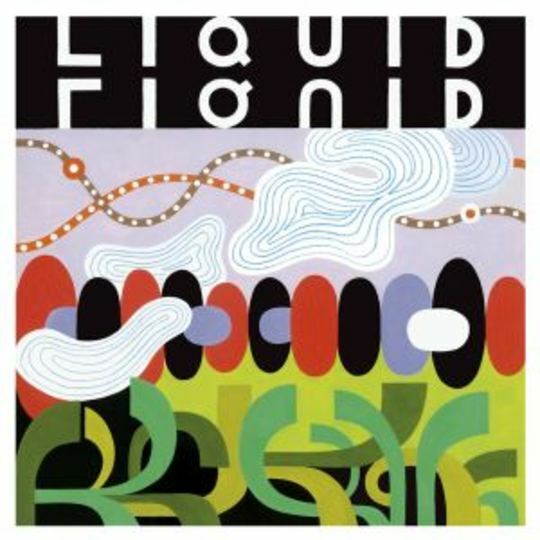 FOREWORD: New York City’s dub-plated groove-based post-punk troupe, Liquid Liquid, crafted influential multi-cultured homemade minimalist recordings a decade before the ‘90s lo-fi do-it-yourself indie rock and rap underground became all the subterranean rage. Grandmaster Flash & Melle Mel’s massively popular 1981 anti-cocaine diatribe, “White Lines (Don’t Do It),” used the elastic bass from Liquid Liquid’s “Cavern” as its musical bed, creating a big club following for the Jersey-originated quartet. Though they disbanded in ’83, I caught up with Liquid Liquid multi-instrumentalist Richard Mc Guire in ’97 to discuss the generous self-titled double disc compilation that was coming out in weeks. We spoke over the phone for an hour. This article originally appeared in Cover Magazine. Hip-hop began somewhat inauspiciously when Washington DC’s Chuck Brown was caught “Bustin’ Looose” and North Jersey’s Sugar Hill Gang cooked up a “Rapper’s Delight” in ’79. At about the same time, Liquid Liquid’s combination of diverse elements – Latin percussion, faux-soul, free Jazz, and eastern exotica – lent an extension to the underground scene that wouldn’t be explored until years later. Influenced by Curtis Mayfield, Sly & the Family Stone, and African jungle rhythms, as well as dub-reggae tape manipulators Lee ‘Scratch’ Perry, Augustus Pablo, and Adrian Sherwood, Liquid Liquid put their minimalist funk smack dab in the middle of the punk and disco rebellions from ’79 to ’83. Coming together at Rutgers University in ’78, Richard Mc Guire (bass, percussion, piano, guitar, melodica), Scott Hartley (percussion), and Sal Principato (vocals) first called themselves Liquid Idiot. They muddled around the tri-state circuit for a year before hiring Dennis Young on marimba and changing their name to Liquid Liquid. 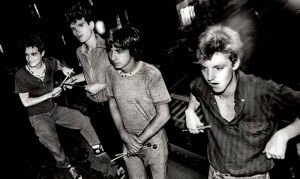 In ’79, the band performed its first few New York shows at CBGB and various loft parties, on several occasions playing with graffiti artist Jean Michel Basquiat’s band, the Gray. After a three-song tape failed to immediately impress 99 Records (whose clients at the time were respected guitarist-composer Glenn Branca and the Bush Tetras), Liquid Liquid resubmitted a better recorded eight-track tape of a live show at CB’s that got them signed. By ’83, Liquid Liquid had played the Peppermint Lounge with loopy dance rockers, Konk, and toured Europe with the Talking Heads. In quick succession, they had dropped two influential extended-play ’81 singles, an inspiring eponymous entree and Successive Reflexes, followed by ‘83 full-length, Optimo. Along with four live tracks recorded at Berkeley Square in ’82, these discs have finally been assembled and repackaged as the historically significant Liquid Liquid on Grand Royal Records. Relying on intuition and impulse, these untrained, non-conforming Yankee experimentalists prefigured many post-modern studio techniques. They introduced freeform minimalism (check out the live version of “Push”) and loosely-structured rhythms devoid of any cultural restrictions. Remarkably, Liquid Liquid was respected by both the underground rock community and dance club patrons. And their impact on electronica, drum ‘n’ bass, and ambient trip-hop is just starting to be realized. While hanging around in NewYork’s Lower East Side, McGuire became intrigued with Latin sounds. As meringue and other south-of-the-border rhythms filtered into ‘80s dance subculture’s mega-mix, Liquid Liquid seemed bent on internalizing Latin music as much as expanding hip-hop’s boundaries. Ultimately though, it was the rubbery “Cavern,” featuring the infamous bass groove sampled for Grandmaster Flash & Melle Mel’s coke-snubbing missive, “White Lines (Don’t Do It),” that made Liquid Liquid an important precursor of what is now respectfully labeled ‘old school’ hip-hop. While waxing nostalgic, Mc Guire recognizes and accepts the shift in the music scene but doesn’t feel completely out of touch. On the cusp of club fame accorded by “Cavern,” the original Liquid Liquid called it quits in ’83. The pain of not receiving proper compensation for the use of its samples (check out Deee-Lite’s “Bellhead” and the Lights “Build A Bridge”) led Mc Guire to seek alternative ventures. He became a New York Times illustrator and now designs books, records, and Swatch watches. His own Mc Guire Toys line climaxed with ‘EO,’ an animated solar-powered toy. Still fond of his original artistic direction, he recently created a new video for “Cavern” at an animation studio. So keep watching for a possible third wave of Liquid Liquid.